Appy days! Our app, which we’ve developed with the lovely people at Marmalade on Toast, made its debut at the 2016 festival. The app is does many things. On one level, it’s a virtual programme: you can browse and find all the wines at the festival listed by exhibitor. 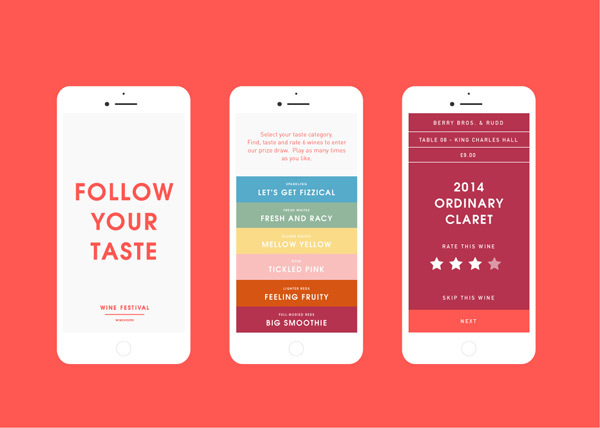 On another level, it’s a treasure hunt game in which you find and rate wines. However you use it, you can win prizes at any time. Plus, when you’ve rated six wines you’re automatically entered into a prize draw for free tickets to next year’s festival. Perhaps the best bit, though, is that you’re automatically sent the list of wines you rated by email afterwards, with live links to buy should you wish. Easy peasy – and no more racking of brains the next day to remember your favourites! The app is web-based, so no downloading needed. (Importantly, it is ONLY live during the festival, so can’t be accessed before or after the event.) And you can play any number of times. It’s based on the ever-popular Follow Your Taste scheme unique to Wine Festival Winchester. This system breaks wine down into eight basic style categories, each with its own colour and strap line. All bottles at the festival sport colour-coded neck tags indicative of their style so you can experiment with confidence based on which style(s) you personally prefer. And now it’s also the starting point for this fun new app too! 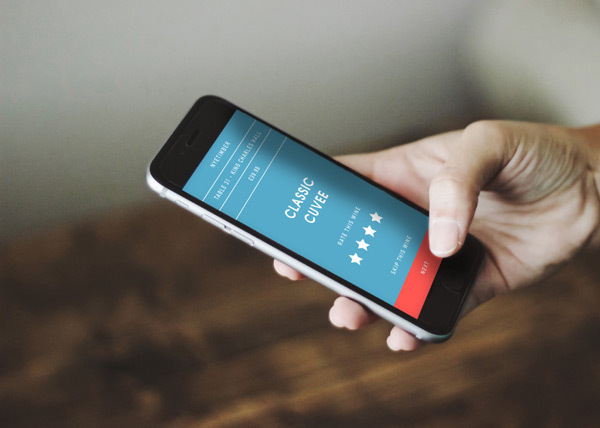 We’re constantly upgrading the app based on valuable feedback. For example, we’ve enabled you to break out of the ‘treasure hunt’ mode (which we’ve called ‘Lucky Dip’) and Search directly for wines or exhibitors you want to visit/taste. You can also re-start the game at any time (e.g. if you wanted to change your taste preference) by pressing the ‘Home’ icon on the top right of the screen. Finally, you can also now choose to play the treasure hunt game according to the room you’re in. At the 2017 festival, 1514 ratings were made, of which 606 were the maximum four stars. Yum!